How to Download Microsoft Windows 10 Setup ISO Files? Microsoft finally released the Windows 10 operating system globally for public download. Windows 10 is now available as free upgrade for all the users those running Windows 7 or Windows 8 system. In case you are using genuine version of Windows 7 or 8 then you can upgrade for free to Windows 10 in the first year of release. The update is rolling out gradually for all countries via Windows Update which will be notified in taskbar.But there are many people did not receive the update. Microsoft also provides an alternate way to download Windows 10 OS, so you can download directly ISO files via their Media Creation tool. Also Read: Windows 10 Officially Released – How to Upgrade your System? 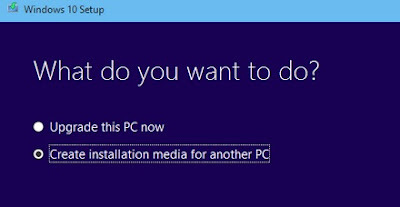 The tool allows users to easily download Windows 10 Setup ISO files. If you want to do clean install, you can create Installation media for another PC through bootable USB or DVD. How to Download Windows 10 Setup ISO Files? • Go to this Windows 10 ISO download page and select 32 bit or 64 bit version of Windows. Then you can download the Media creation tool to your system and run the tool. 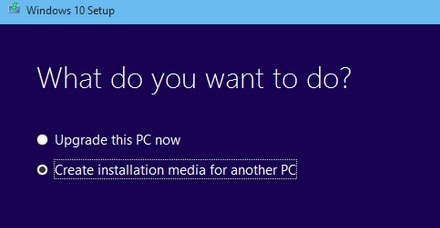 • Otherwise Click on “Create Installation Media for another PC” if you want to install on other computers or clean install. • Then select the language and Windows 10 version. Make sure you download the correct edition if you have Home version of Windows 7 or 8 then download Windows 10 Home only. • After the download you can burn the ISO files to a DVD to install on other computers. If you are performing a clean installation without upgrade you need to provide the Product key. Good one. Can I get any crack?